For years, Twin Peaks fans settled for watching old VHS copies of the series, rented from their favorite video store. Or if they were lucky, they plucked their well-worn copies from their own shelves, hoping that their current viewing wouldn’t be the last one on the antiquated format. 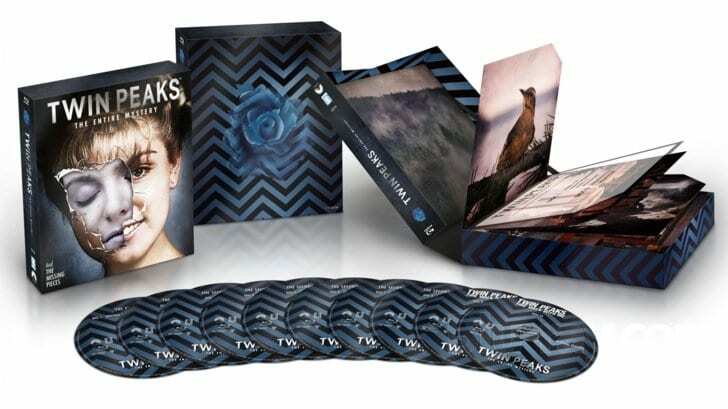 In 2007, CBS Home Entertainment provided a golden gift to all Twin Peaks fans by releasing Twin Peaks: Definitive Gold Box Edition, a 10-disc DVD set that included the Pilot (including the infamous “European Version”) and a bunch of juicy extras including A Slice of Lynch, a 30-minute film produced and directed by Charles de Lauzirika. 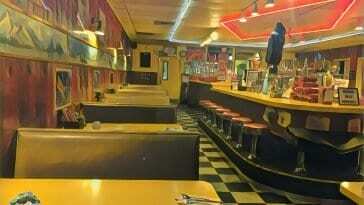 I consider A Slice of Lynch to be the first new Twin Peaks film following Twin Peaks: Fire Walk with Me, as David Lynch, Mädchen Amick, and Kyle MacLachlan (along with longtime Lynch collaborator John Wentworth) meet in woodsy bar/diner to talk about Twin Peaks seventeen years after the original series. 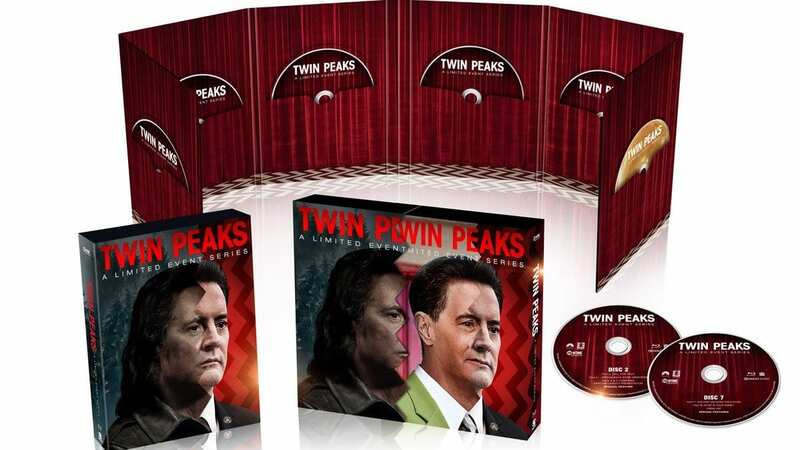 When Twin Peaks: The Entire Mystery was released during the summer of 2014, we received another treat from Charles in Between Two Worlds, a featurette starring Ray Wise, Grace Zabriskie, and Sheryl Lee. Most recently, Charles spent a week in Snoqualmie and North Bend, Washington to document the first week of Season 3 filming in A Very Lovely Dream. I recently had the privilege of speaking with Charles, discussing all three of these projects and more for this Lynch Night piece. 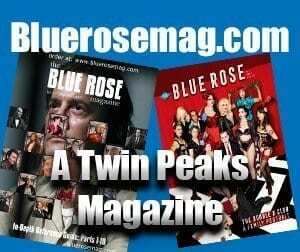 I urge you to check out all three projects, then return to this spot and read some of our reflections on the process, the people, and the unique role that Charles had in shaping our Twin Peaks experiences prior to the series’ 2017 return. 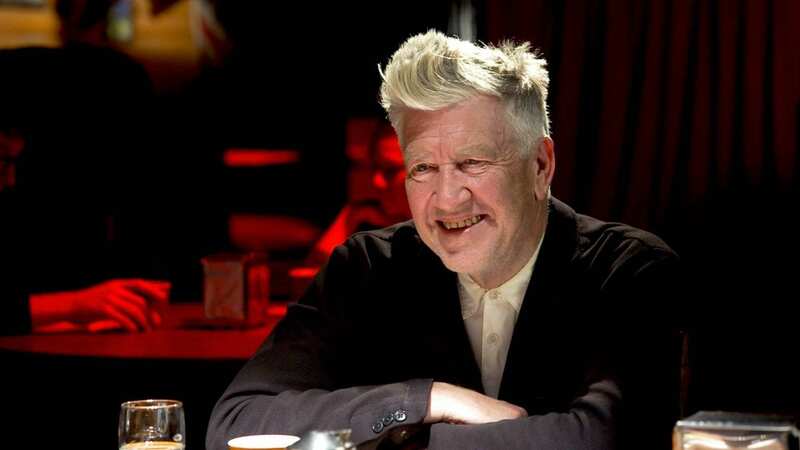 TP: You’ve done a lot of different things in the Twin Peaks world, and I look at A Slice of Lynch, Between Two Worlds and A Very Lovely Dream as a trilogy. They were the first new supplemental films since the original series and Fire Walk with Me were released, and the first two had a distinct dream vibe. 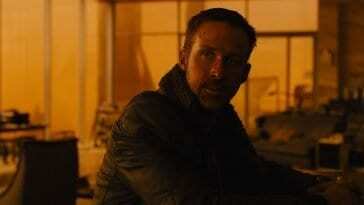 CdL: Thanks for your interest, and I’m glad you like them and I agree about the trilogy thing. When you look at the opening titles for all three, I used the same font, the same graphical treatment, so they are meant to be a family basically. I think A Very Lovely Dream is also dreamy in its own way. It has more responsibility in terms of informing you about what the new show is about, but all three of them have a dream-like quality. 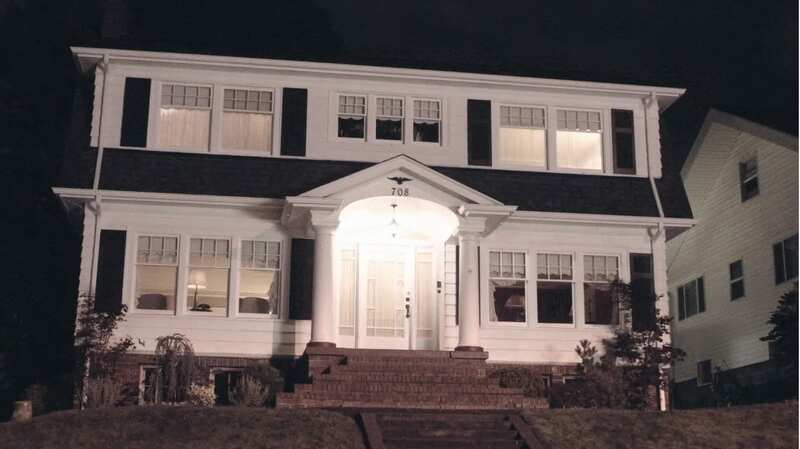 TP: Who chose the filming location? Was anything added to the set to give it a more “Peaks” feel? 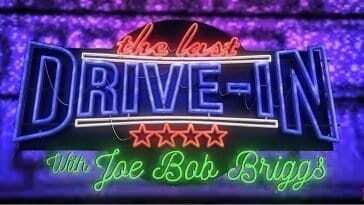 CdL: That was the Bigfoot Lodge in the Los Feliz establishment. 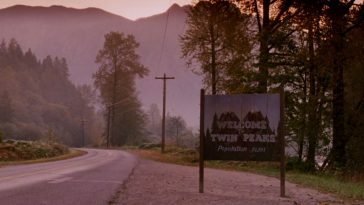 We used it for A Slice of Lynch, and virtually no set dressing was done to make it more “Peaksy.” It has a ranger cabin kind of vibe and that’s why everyone agreed that was the place to shoot at because it was like a Twin Peaks location even though it wasn’t. And strangely enough, when I was shooting interviews for my long documentary Secrets from Another Place, Michael Horse’s interview we shot at the Bigfoot Lodge in San Francisco because we were still trying to maintain that Twin Peaks feeling. It made perfect sense as soon as we saw it. The only things we created were the waitress costumes. 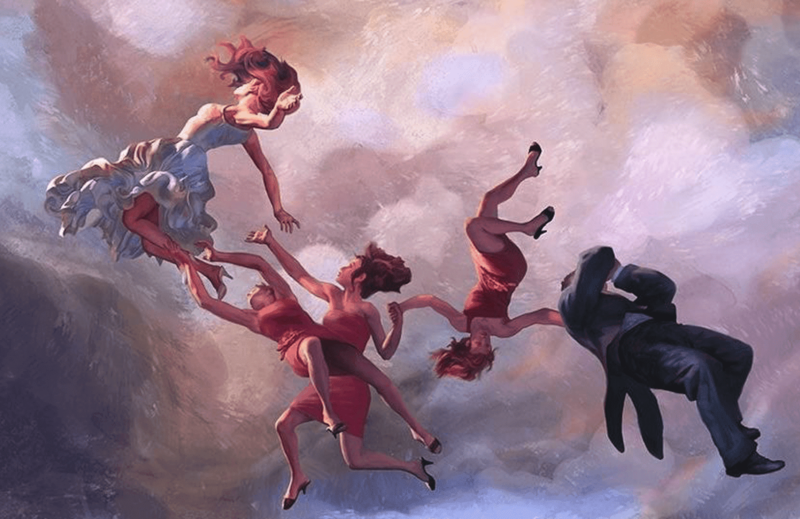 There were two realities happening, the present day normal world, and this other dreamy Twin Peaks world. TP: What portion of the production was scripted or at least agreed upon at the beginning for A Slice of Lynch? CdL: Basically, whenever I do a project, I write a proposal, and in this case we knew right off the bat that David Lynch wanted something different without the usual talking head interview thing. So we tried to work with him to come up with a scenario that he would enjoy, telling stories, and that’s where the idea came up for the two worlds of A Slice of Lynch, where he’s just hanging out, enjoying some pie, and then he just has a flashback to the show, but then also by way of a conversation with Kyle and Mädchen and John Wentworth. There was nothing really scripted, per se, it was just the opening and the closing, kind of like the bookends of the piece. They were shot script-style but there wasn’t actually a script. David kind of [improvised] it, because you know he’s also a very good actor, so he had no problem just coming up with it. And the waitresses were all actresses, and they responded accordingly. It was a lot of fun actually, because it wasn’t that it was by the seat of our pants, but it was definitely more freeform, which was kind of fun. While there had been interviews before, it was a special opportunity for Mädchen, Kyle, and John (AND David). It wasn’t just a talking head interview. Everyone there knew it was going to be something special. I feel like they were so enthusiastic just to hang out with David and reminisce, that it was just kind of fun for everybody. For them to actually tell stories, and for us to just sit back and shoot it, and that was such a pleasure, as it was for Between Two Worlds as well. My job is to basically set up, get the camera guys in their place, light it, technically get it together, but then allow David and his guest to have their own conversation; their own trip back in time to talk about these things. It’s great for me, because as a fan, I get to see it live and in person, and it just means we’re going to get something special and unscripted, unplanned and more honest and more heartfelt, and I really always enjoy that type of setup. 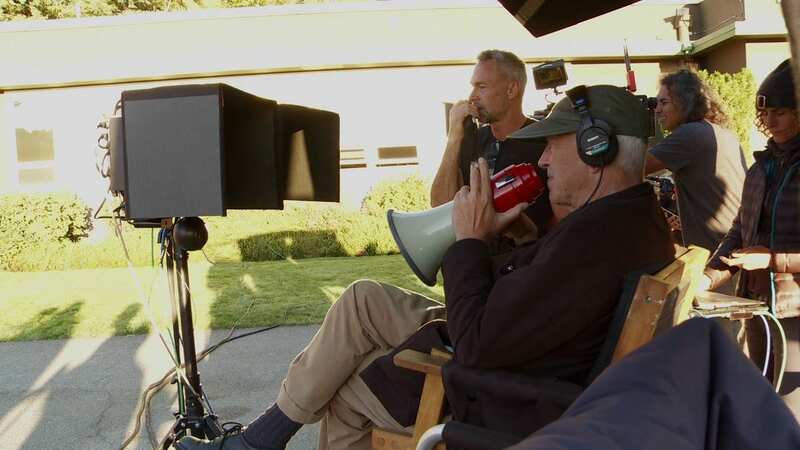 TP: Much has been said about the relationships with Lynch and his actors and crew regulars. You’ve worked on plenty of non-Lynch projects. How does Lynch’s approach to working with the cast and crew on these types of projects differ from other directors? CdL: It’s interesting because my job in documenting movies and TV shows, I’m basically an observer. I’m just there with a camera (and sometimes a crew) to capture behind-the-scenes footage and interviews. So, I’m not in the crew, I’m not in that family. I’m kind of like the kid across the street watching them have fun. But I would say that on a lot of the bigger films I’ve worked on, like the Ridley Scott films or the Transformers films, those are huge undertakings, almost like mounting a small war. That’s like having an army of people. Whereas my week on set for the new Twin Peaks was kind of magical and kind of beautiful in how it was sort of like a family, and it was very zen. The vibe was very zen. 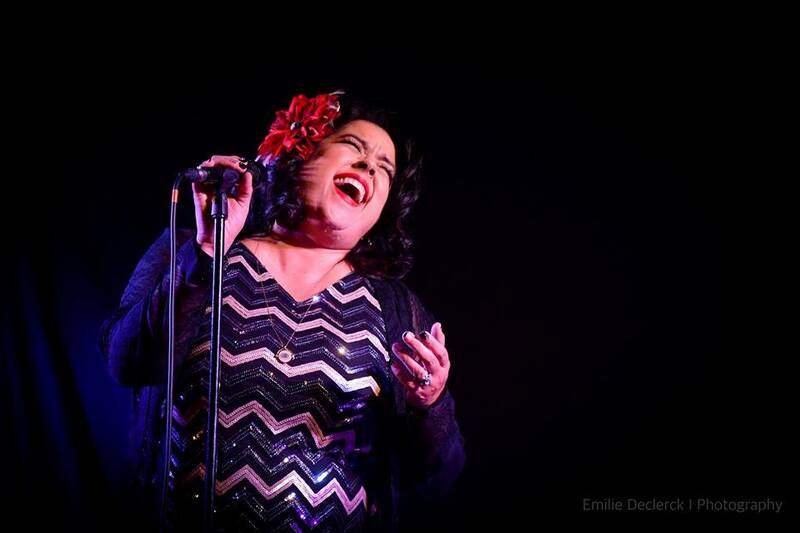 I really enjoyed having a completely different experience, and I learned a lot. I really just appreciated the very different tone. It shows that every filmmaker is different, and every set is different, and it’s never the same story. And that’s what keeps me interested in the behind-the-scenes stuff. Like it’s always a new thing. TP: Did you get a sense that something was “happening again” when you directed Between Two Worlds? More specifically — when the actors and David are going around the table talking about how much they would enjoy working with each other again, David and Mark Frost had already been writing. 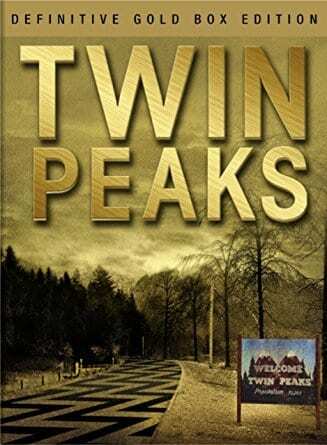 CdL: Not specifically, I think what we (Charles and Ken Ross – Executive Vice President and General Manager, CBS Home Entertainment) got out of it, we saw an enthusiasm, a new enthusiasm for Twin Peaks and for the world. That didn’t translate for us to: “Oh my God, they’re going to do a third season!” I think we felt a positive energy, but nothing that would make us think, “Oh, this is going to happen.” So, of course, now looking back, it’s almost like they were testing the waters a bit, or David was anyway. Look, our thing was such a small little production, compared to the scope of the series, it’s really hard to look at one thing and then deduce what’s happening with the other. It was just a fun project for the [Entire Mystery] Blu-Ray at that point. Looking back, it’s really great to see Ray, Grace, and Sheryl Lee giving such wonderful performances. Maybe unbeknownst to them, they were getting a little bit of a warm-up, but none of us knew that. TP: Please talk a little bit about working with Ray, Sheryl, and Grace in their Twin Peaks characters. CdL: Like I said before, one of the highlights of the whole Twin Peaks experience was seeing them so effortlessly jump back in. I’ve seen other behind-the-scenes bonus features or special features that bring actors back, and they try to do something in character, and it really is the actor just doing them a favor and reading the lines that they’re given and doing their best. Whereas, with Ray, Grace, and Sheryl Lee, they were the characters. It was just amazing how fully they embraced that challenge of having to just come in and do this thing for us, but then do it so incredibly well. And truthfully, and faithfully to the original characters. I think that was kind of wonderful. TP: David has shown to be a pretty solid actor in his role as Gordon Cole. When I watched Between Two Worlds in preparation for this interview, I kind of see him really living in the Twin Peaks world as he interacts with the “Palmers.” Did you get the sense that he still lives in that world when you were directing the featurette? CdL: It’s not for me to say. I don’t know where he was at in his imagination in that moment. First of all, because I wasn’t privy to it. Again-we’re rolling and it just happened, and frankly I’m not sure that he would want to explain it, and therefore I can’t explain it, and it was never explained to me. If I could just hypothesize…I’m not even gonna do that! He was the host of the conversation, and he had the unique position of not only being the creator, but also one of the characters. Ken from CBS kind of nudged David and said “You should do this as Gordon Cole.” and David didn’t really want to go that way. It was like, “OK, he’s not Gordon Cole,” because he’s not performing as Gordon, but whether he’s David from the “real world” or David from Twin Peaks, that’s above my pay grade. TP: Both you and Jason S. covered the behind-the-scenes action of Season 3. 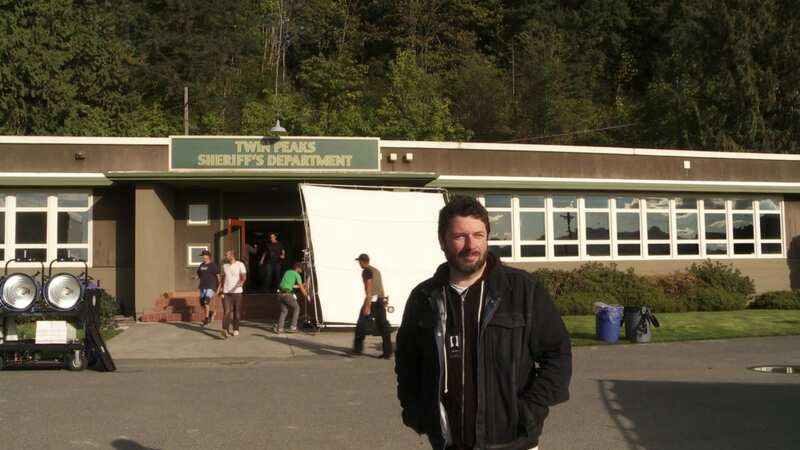 I’ve heard several people comment that they preferred your work because it really took the viewer back to the Twin Peaks locations we came to know and love in the 1990s. What was it like for you to cover those moments, and did you go into the project with a plan to touch that part of the viewer experience, or did the mood evolve during shooting or the editing process? CdL: I would say the mood for my piece clearly evolved in the editing process, because when I was scrambled to get up to Snoqualmie and North Bend to shoot, I was ostensibly going just to shoot B-roll for Jason to use.  So, I was basically just an emergency camera guy because I happened to be available, happened to be working in San Francisco on a cool Star Wars project and I was able to just leap up to Seattle really quick. And that was because Jason wasn’t available for a week, and it just happened to be a week where they were shooting a lot of the old locations, and a lot of the cast was coming back. I was just sort of a Band-Aid on the situation when I began shooting, and I basically did the best I could for as much as I could follow. It was interesting; I had no idea what the story was, I didn’t know who was coming back necessarily than [cast members] that had been announced. I was just kind of dropped into the middle of it for a week and then left. It was the “Jason Show,” and I was just trying to support him, and do whatever I could to help him. Jason and I spoke early on, and he is a really great guy and super talented. We didn’t have a clarity about what his approach was going to be, so we just talked about details: I would try to shoot trees, or the falls, or whatever. Almost Terence Malick-y moments up there, just to have some kind of visual texture to add to the more generic behind-the-scenes footage. So I did that as best I could, using a completely different camera than he used, using a completely different sensibility than he had. So time passes, months and months pass, and the show’s being shot, and the show’s being edited, and then I get the call that Jason might use some of my footage, but maybe not all of it. I helped out, do whatever you’ve gotta do, and then it was “Jason’s not going to use any of your stuff because it really doesn’t fit his style.” First I was sort of hurt; I wish that he could, because it’s not that it’s bad footage, it’s just different. His approach when I saw it, I didn’t see it until we all got the Blu-Ray. I was like “Wow, he’s really on a different planet than I was. I wish I had known that because maybe I could have emulated his style better.” On the whole it gave me an opportunity to take that footage that I shot; again-kind of generically. I didn’t go in with an agenda to shoot it a particular way. That allowed me the opportunity to go back into my footage after all that time, kind of look at it fresh, and think: “How can I make this mean something?” That’s kind of where some of the interview material helped out in terms of a narrative, but also keeping in mind that I know that David wouldn’t want the usual promotional behind-the-scenes stuff that I don’t like doing either. If you look at the documentaries that I’ve done, they’re not promotional at all, they’re all very journalistic in their approach or I try to be. I applied it to that, but in the edit let’s try to make it dreamier with longer transitions, and dissolves, and rest on nature or the weather. You use music to create a mood more than usual, so the great thing was that shifting of gears from Jason’s approach to mine allowed me to do kind of a new version of what I do, which is a lot of fun. It was tough at first, but it was also very challenging, and in a way I think it all worked out for the best because Jason’s stuff is awesome and it’s just so unique. And you also have to look at it from the point of view that Jason’s stuff is looking forward, and my stuff is looking backward. He’s pioneering this kind of style, and this documentation of the show in this very forward-thinking way. 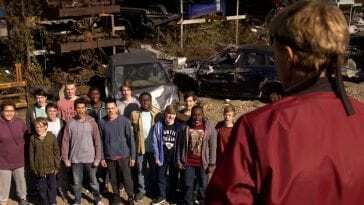 I’m, by the nature of the beast, with the old locations and the cast coming back, I’m capturing the nostalgia of the previous show and helping bring it into a new perspective. I kind of feel like mine is a kind of hors d’oeuvre, a primer for something, and Jason’s stuff is the show, the main material. I’m a recap in a way. 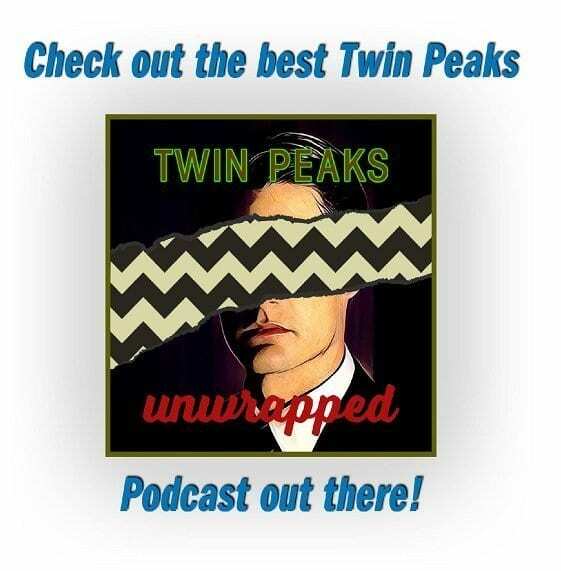 TP: Did you get the sense during filming that Twin Peaks will continue or was there a little sadness on the set that perhaps this was the close? 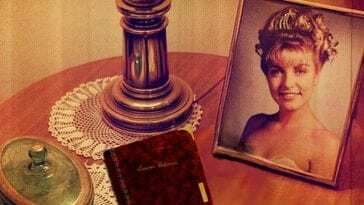 TP: One final request: My family laughs at my obsession with the “Angelo talks about Laura Palmer’s Theme” video from the Definitive Gold Box Edition. I may be responsible for about 200 YouTube views all by myself, and if we are listening to music while eating dinner and Laura’s theme comes up on a playlist, I’ll imitate Angelo. Can you talk a little about that moment? CdL: When you asked me earlier what were the highlights, I can’t believe I forgot this one, because it might be the number one. Having been there in Angelo’s house, we did the traditional “talking head” interview with Angelo, but then I needed him to just play on the piano so we could have some B-roll to cut to, because we didn’t have any footage from 1990 of him creating music. It may have existed, but we didn’t have it. So, Angelo’s great, he’s a sport, and he just got on the keyboard, started playing and then we’re rolling, and then he starts with what you see on that clip. I am there with my jaw on the floor, and I’m like “Oh! This is magic.” He was so romantically sincere about that story. He played the hell out of it, but he had such great love invested in telling that story, and I feel like that was kind of a magical moment to capture, and I wonder if anyone tries to do that again with him if it would match that. That to me is one of the tip-top of my DVD and Blu-Ray producing career. That one will never be replicated for me. Charles de Lauzirika occupies a special place in the Twin Peaks universe. His work on the DVD and Blu-Ray extras throughout the years has provided us with fascinating glimpses behind the red curtains, into the trees, and deep into the souls of some of our favorite actors and the characters they portray. 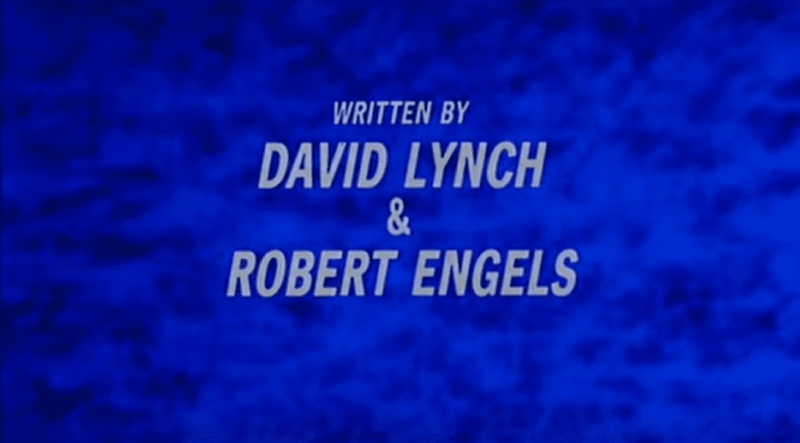 It was my pleasure to bring his personal perspective to this edition of Lynch Night. I encourage you to spend some quality time viewing his work, and then use this interview as guide for the meta-behind-the-scenes experience. The Time Travel Trial: Should Cooper have gone back to 1989?